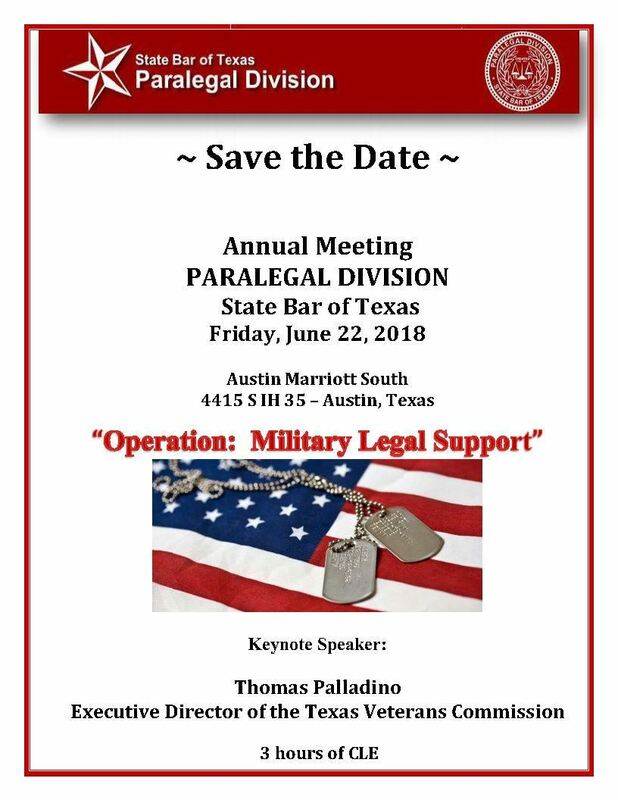 The Annual Meeting of the State Bar's Paralegal Division is happening on Friday, June 22, 2018 at the Austin Marriott South, 4415 S IH-35, Austin, Texas. The keynote speaker is Thomas Palladino, Executive Director of the Texas Veterans Commission and the topic will be "Operation: Military Legal Support." The program includes 3 hours of CLE.